Would You Like To Include Extra Mugs To Your Order? This Is A ONE TIME OFFER And You Will Not Receive It Again! Each of our master craftsman trains for at least 10 years before they handcraft a copper mug which reaches you. The exact size as the original moscow mule mugs from the 1940s. Coated with food grade lacquer to retain its shine. Just scrub the coating away if you like the antique look. 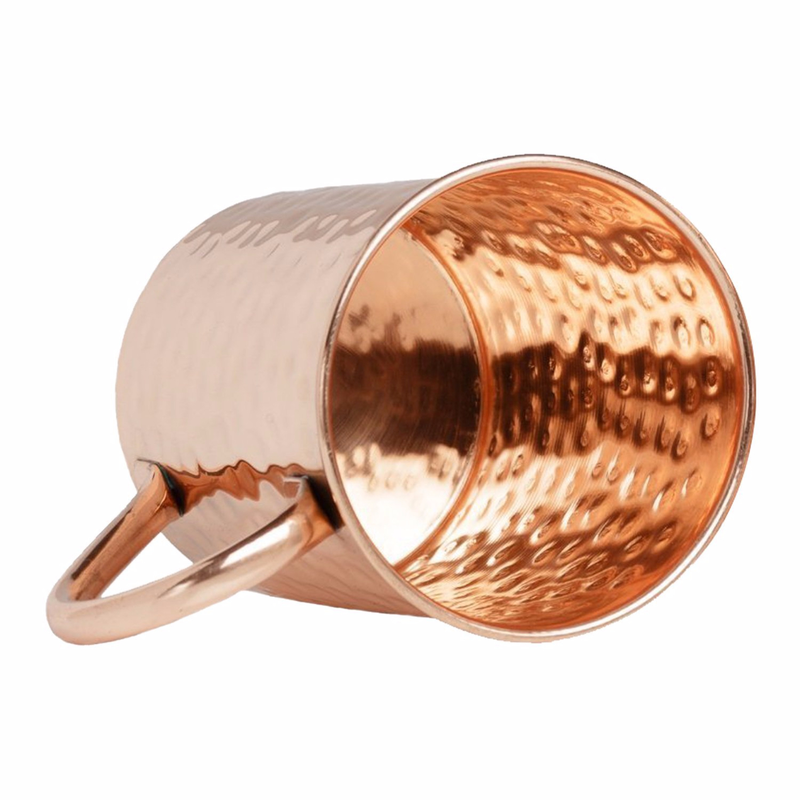 Advanced Mixology copper mugs give you the most copper for every dollar you spend. Using 22 gauge, 100% pure copper sheets, we make sure that each mug weighs at least 1/2 pound. No filler metals, no metal linings. Our mugs undergo a 32 point quality check to ensure that you get the highest quality mug always. Great product. Initially bought one set as a Christmas present, ended up purchasing a second set after checking the quality. If you know anything about Copper mugs, you know all are not created equal. I specifically was looking for 100% Copper mugs, without any sort of other metal lining. Check. Also, I wanted a completely solid mug with no rivets attaching the handle to the mug which can end up leaking or corroding. Check. You get both with these mugs. You can tell the mugs are hand made and hammered. No lining, 100% copper, no drilling or rivets. Essentially the perfect copper mug for a reasonable price for 100% copper. The coasters are also quality and a nice addition. Overall solid product - 5 stars no question. This year, making Moscow Mule drinks is a very popular order at local bars or even in your own home. I was looking for a good gift to give to my Dad and his girlfriend for Christmas and this was the perfect idea! They both are very social and enjoy entertaining friends at their home. I picked up this set of copper mugs from Advanced Mixology and couldn't be happier with them. They come in a intricately designed box that gives you all kinds of information about the mugs. You also learn the recipe on how to make "The Perfect Moscow Mule," in case you are not already familiar with it. 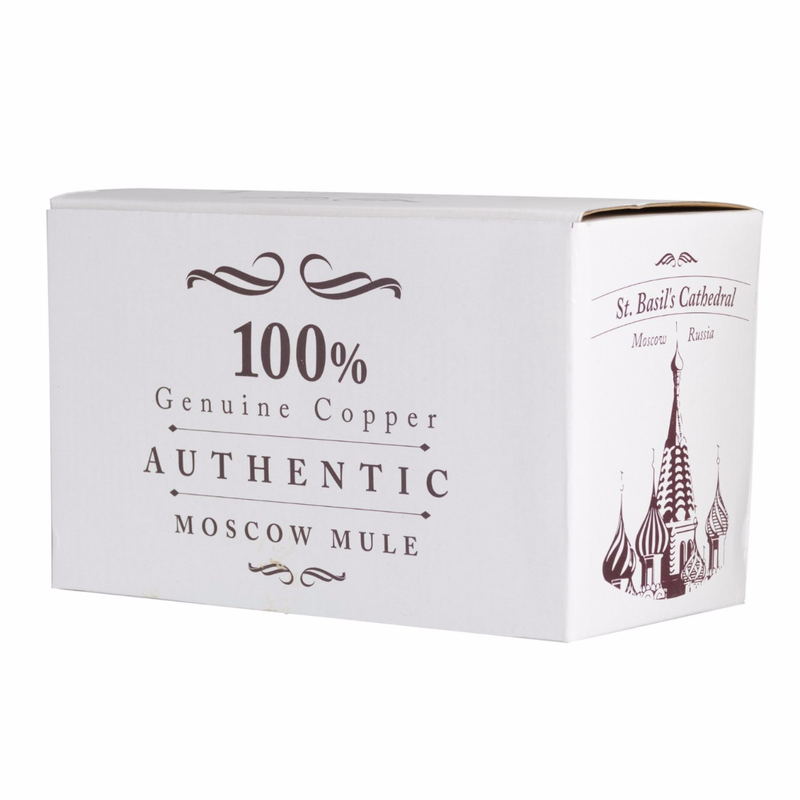 These mugs are artisan crafted and consist of 100% genuine Copper. It is very important that any mug you use to create these beverages is 100% real Copper, otherwise you will not get the true flavor of a Moscow Mule drink. The hunt for quality Moscow Mule mugs is over! Moscow Mules are all the rage right now, didn’t you know!? My older brother- you know, the guy that never wants anything for his birthday or Christmas, has been on the hunt for a pair of quality mugs. I always used to see them during my weekly trips to the discount retail chain stores, so I told him that I would get him some. It was a win-win situation right? I FINALLY have something I can give him as a gift and he gets the mugs he wants. Let me tell you- I am jealous I didn’t get myself a set! These mugs not only are great quality but the hammered copper is awesome looking!! I can’t wait to give these to him for Christmas.